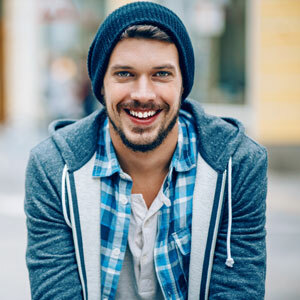 Whether you recently started wearing braces, Invisalign® or Incognito™ Hidden Braces, you might think that going to the dentist is no longer necessary during your treatment phase. That’s not the case; it’s essential that you see your dentist for regular checkups. Why? Because orthodontic appointments are nothing like your dentist visits. Although we check your teeth to see if they’re clean at every visit, it is impossible for us to inspect your mouth thoroughly and assess your dental needs. Dental checkups are critical if you want that beautiful, healthy smile. Under normal circumstances, the recommended time between dental visits is six months; however, this is subject to change, depending on many factors. These include how well you are cleaning your teeth. Naturally, patients with poor oral hygiene and inadequate diets will be requested to see their dentist at shorter time intervals. Here are some home care tips for keeping your mouth clean while you’re wearing braces or aligners. While it can be a bit of a challenge keeping teeth clean if you’re wearing traditional metal braces, it’s important to get the job done. You will want to brush every side of the bracket and use toothpaste that contains fluoride. Flossing is also important — not only between braces but under the wires. With Incognito Hidden Braces that are placed inside the teeth, you need to thread the floss under your wire between each bracket. Consider using floss threaders as they are ideal for getting around your braces. If you have Invisalign, the advantage, of course, is you can remove the aligners when you need to brush and floss your teeth. It’s important to us that you not only achieve a beautiful, straight smile but you also maintain excellent oral health. Contact us today for an appointment!